The new 2019 RAM ProMaster® makes more room for business with 8 feet cargo length, 56.0 inches of cargo width between the wheel wells, and a maximum 75.6 inches cargo width. Not only can you fit more, but you can also load all the things you may need with a 21-inch low load floor height and 90-degrees vertical walls. No matter where duty calls, the 2019 RAM ProMaster® has a tough, bold exterior design that will ensure you’re safe and secure. The three-piece front fascia can be removed easily for easy access and constructed of durable material to lower any repair costs. Pure versatility meets outstanding capability in the RAM ProMaster® that is ready to take on anything from towing to transport. The award-winning 3.6L Pentastar® V6 Engine provides the best-in-class 280 horsepower and up to 260 lb-ft of torque. 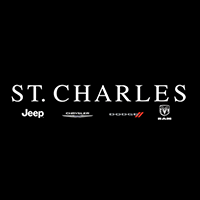 Let the wait be over, stop into St. Charles Chrysler Dodge Jeep Ram today to discover all the endless capabilities of the 2019 RAM ProMaster® that is built for more strength. Find the one that suits your business needs today!